When people hear of robots, we tend to think of artificial intelligence taking over our jobs or the Terminator emerging from Hollywood. On the other hand, learning robotics have some interesting effects on children that aren’t as negative as we may think. Kids learn quite a bit from robotics. For one, it sparks creativity: a quality that gives minds original ideas and imaginativeness. When kids come together, there is no limit as to what their designs and plans may be. With robots in classes, both the teacher and the student have access to programming the robot to do anything they wish. Some teachers and their students in schools in the US created themes for their robots to be in, including a post office setting. An important skill for anyone planning on pursuing STEM are some concrete social skills. Robotics can do that. With the collaboration of robots and children, it builds teamwork and leadership. Teachers can arrange teams where students from all kinds of backgrounds come together to create something with their intelligent machine. This kind of team builds communication and listening skills, all while making it an enjoyable time for youth. Is learning robotics beneficial? How can I join? Robotics as apart of educational systems are indeed beneficial, both for teachers and students. A recent study done in the US explored how robotics in schools affects the environment, showing that students social and creativity skills grow. Researchers were pleased to find that teachers and students are excited that robots are making its way into the curriculum. Another benefit is how hands-on learning is exemplified through robotics. It challenges students to create something that is functionable yet efficient. Through tangible learning, students are able to collect material better and able to think about their choices, which is incredible for them as they grow up. Clubs and programs such as STEAMLabs, a Toronto-based company that offers robotic focused programs exclusively for girls, aim to incorporate robotics in a number of young kids. At STEAMLabs, “Girls used electronics, robotics, woodworking and crafts to re-imagine and prototype ideas for some of Toronto’s most diverse urban spaces.” Interested in checking out some more innovative and robotic clubs in the Toronto area? Check out Little Robot Friends and MakerKids. 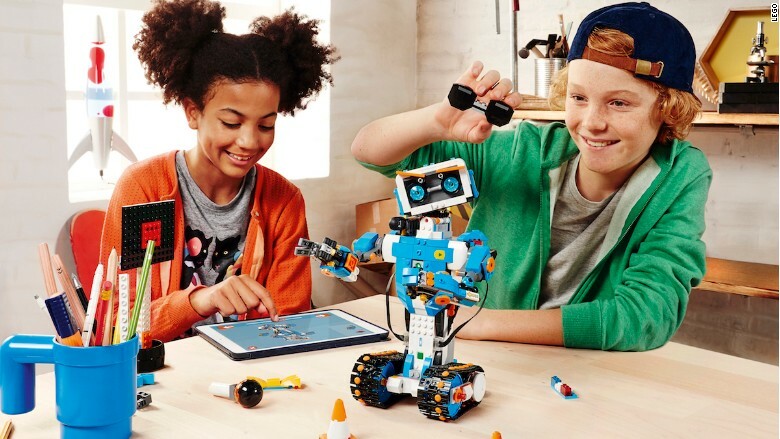 Whether it be social skills or creativity, children can learn valuable skills form robotics. After all, children are the future, and we need to nourish them with creativity, interaction, and hands-on, engaging education so that they can take it and use it in our world. So, try something new like joining a robots club or programming with robots. Why? Because the use of robotics will triple in the next ten years, and that’s only the beginning.